This practical HDMI-splitter, in compliance with the 1.3 Standard, enables signal distribution from an HDMI-source (SAT-receiver, DVD-player, media computer, etc.) 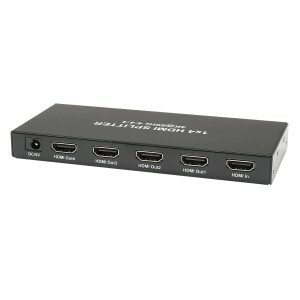 onto 4 or 8 HDMI-receivers. It is ideal for media, dealer, presentation, and training facilities. 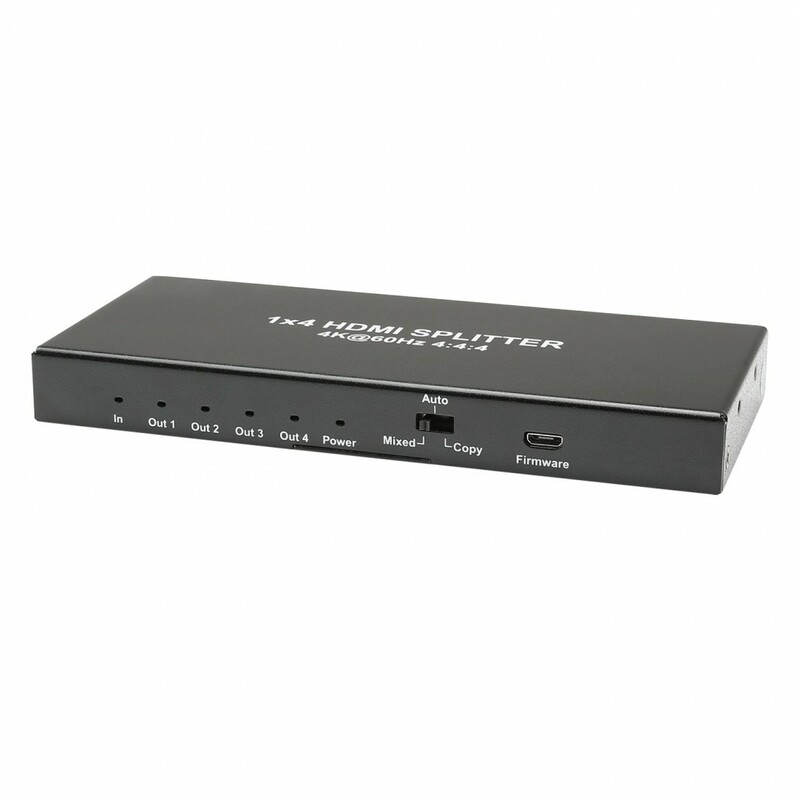 It supports 480i/p, 576i/p, 720i/p, and 1080i/p, DTS, and home cinema 7.1. The max. cable length is 15 m.
Power is provided by a 12 V power supply (included in the delivery).